Mathematics Matters Fidel Oteiza Mathematics Education in Chile: context, trends, results, and challenges. 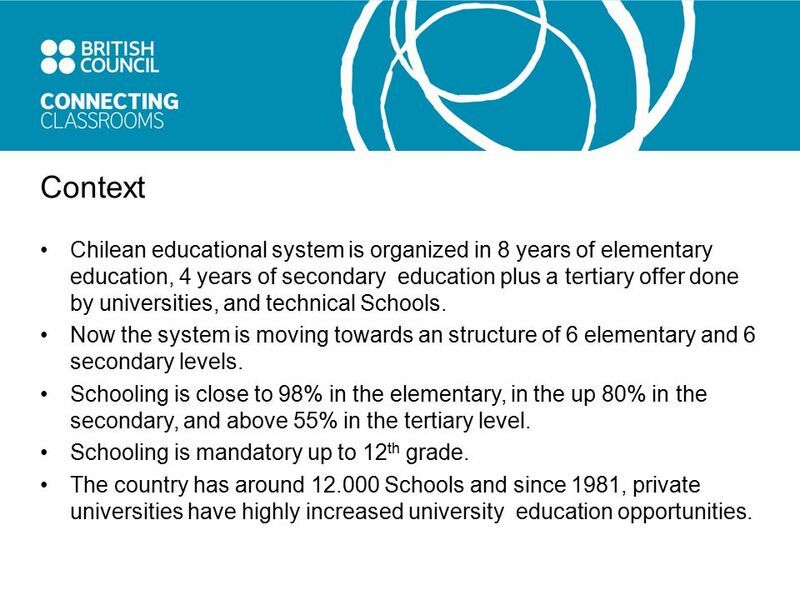 4 Context Chilean educational system is organized in 8 years of elementary education, 4 years of secondary education plus a tertiary offer done by universities, and technical Schools. Now the system is moving towards an structure of 6 elementary and 6 secondary levels. Schooling is close to 98% in the elementary, in the up 80% in the secondary, and above 55% in the tertiary level. Schooling is mandatory up to 12 th grade. The country has around 12.000 Schools and since 1981, private universities have highly increased university education opportunities. 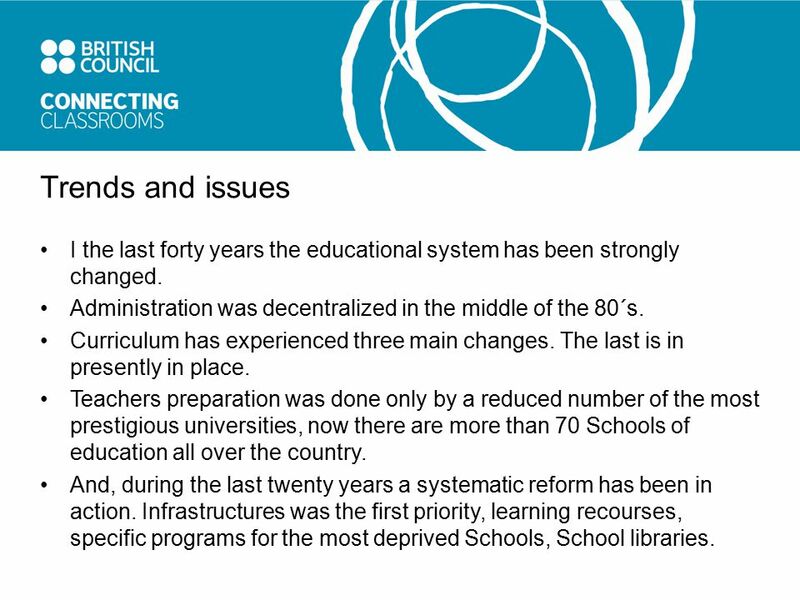 5 Trends and issues I the last forty years the educational system has been strongly changed. Administration was decentralized in the middle of the 80´s. Curriculum has experienced three main changes. The last is in presently in place. Teachers preparation was done only by a reduced number of the most prestigious universities, now there are more than 70 Schools of education all over the country. And, during the last twenty years a systematic reform has been in action. Infrastructures was the first priority, learning recourses, specific programs for the most deprived Schools, School libraries. 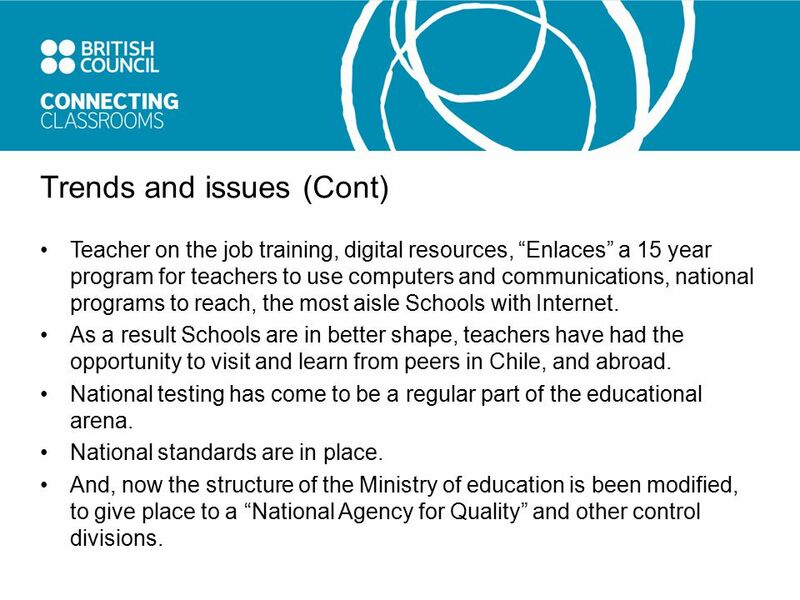 6 Trends and issues (Cont) Teacher on the job training, digital resources, “Enlaces” a 15 year program for teachers to use computers and communications, national programs to reach, the most aisle Schools with Internet. 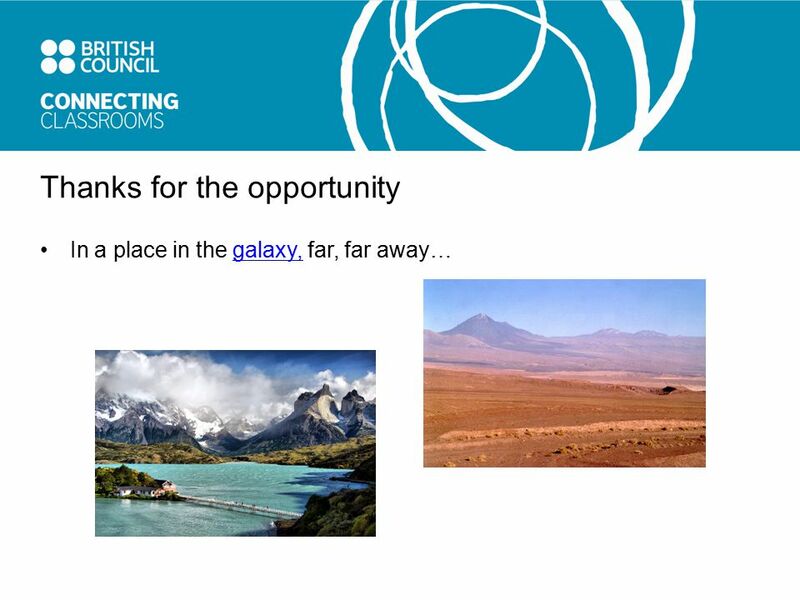 As a result Schools are in better shape, teachers have had the opportunity to visit and learn from peers in Chile, and abroad. National testing has come to be a regular part of the educational arena. National standards are in place. And, now the structure of the Ministry of education is been modified, to give place to a “National Agency for Quality” and other control divisions. 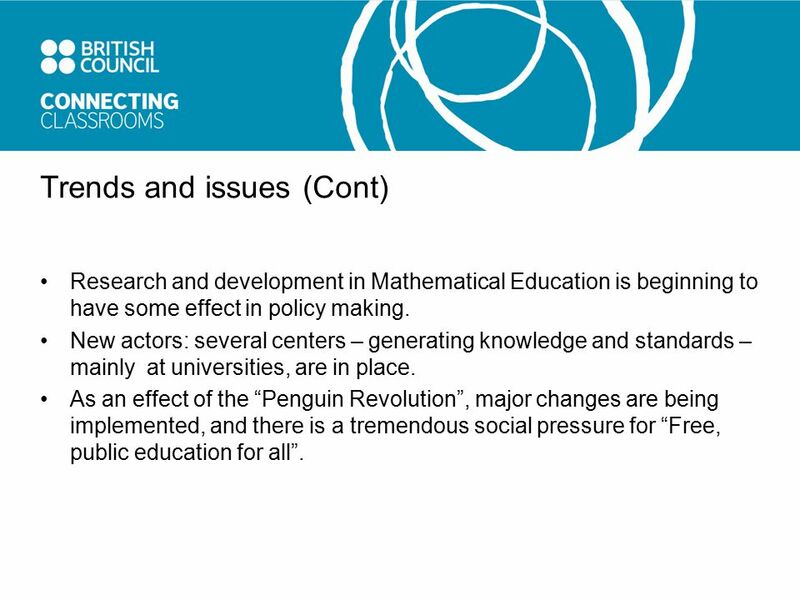 7 Trends and issues (Cont) Research and development in Mathematical Education is beginning to have some effect in policy making. New actors: several centers – generating knowledge and standards – mainly at universities, are in place. As an effect of the “Penguin Revolution”, major changes are being implemented, and there is a tremendous social pressure for “Free, public education for all”. 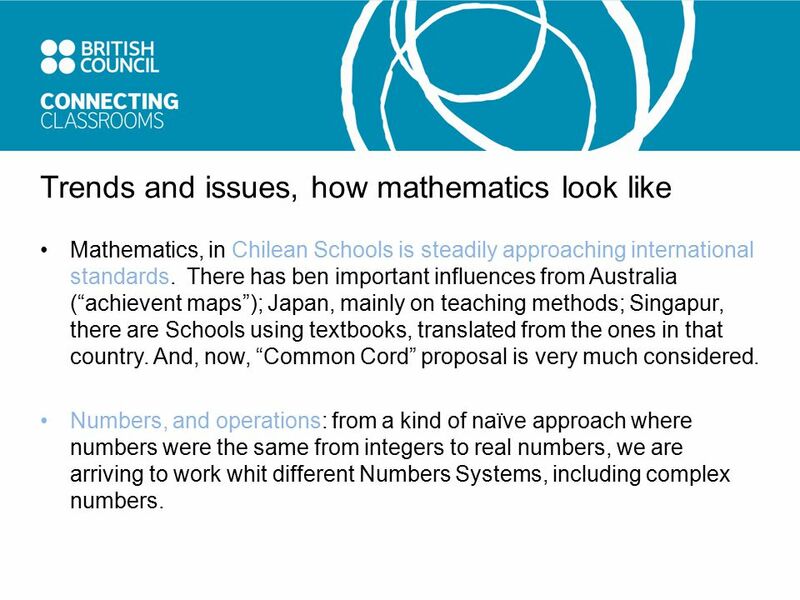 8 Trends and issues, how mathematics look like Mathematics, in Chilean Schools is steadily approaching international standards. There has ben important influences from Australia (“achievent maps”); Japan, mainly on teaching methods; Singapur, there are Schools using textbooks, translated from the ones in that country. And, now, “Common Cord” proposal is very much considered. Numbers, and operations: from a kind of naïve approach where numbers were the same from integers to real numbers, we are arriving to work whit different Numbers Systems, including complex numbers. 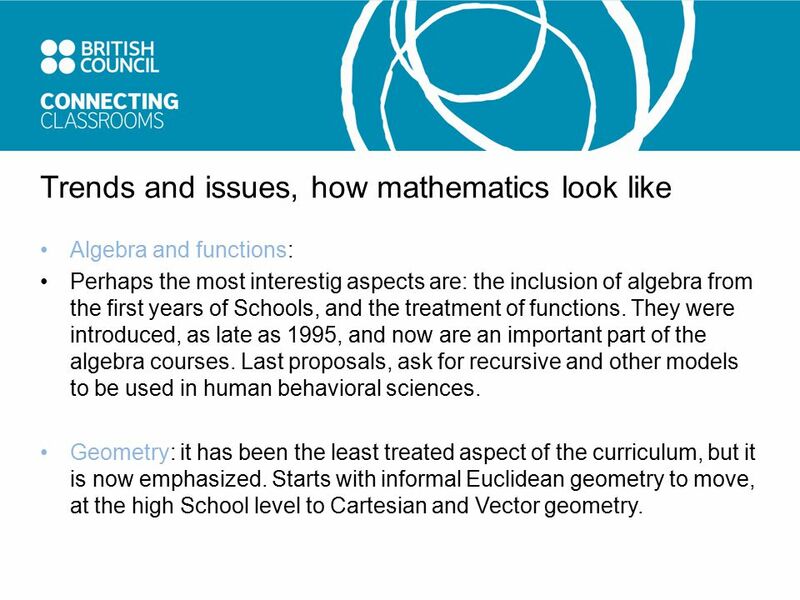 9 Trends and issues, how mathematics look like Algebra and functions: Perhaps the most interestig aspects are: the inclusion of algebra from the first years of Schools, and the treatment of functions. They were introduced, as late as 1995, and now are an important part of the algebra courses. Last proposals, ask for recursive and other models to be used in human behavioral sciences. Geometry: it has been the least treated aspect of the curriculum, but it is now emphasized. Starts with informal Euclidean geometry to move, at the high School level to Cartesian and Vector geometry. 10 Probability and Statistics: it was introduced, for the first time, in 1992, only at the last two years of secondary education, now starts in the 1th year of elementary education, up tu 12 th grade. 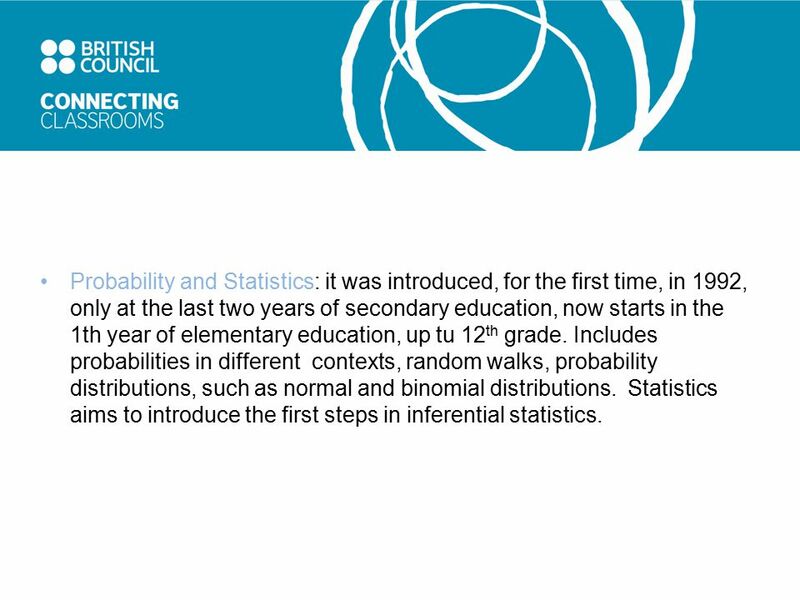 Includes probabilities in different contexts, random walks, probability distributions, such as normal and binomial distributions. Statistics aims to introduce the first steps in inferential statistics. 11 Some results There are good and bad news. Let me contextualize results on the light of the “Penguin Revolution”. 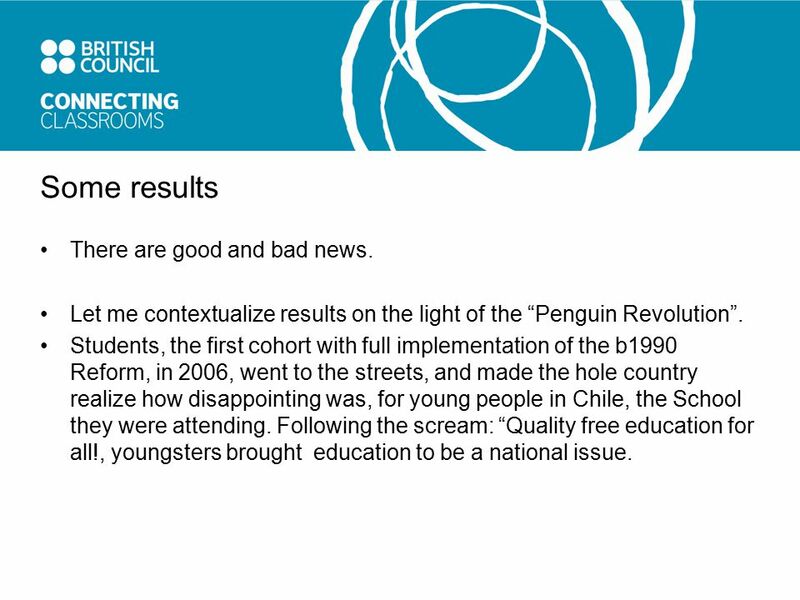 Students, the first cohort with full implementation of the b1990 Reform, in 2006, went to the streets, and made the hole country realize how disappointing was, for young people in Chile, the School they were attending. Following the scream: “Quality free education for all!, youngsters brought education to be a national issue. 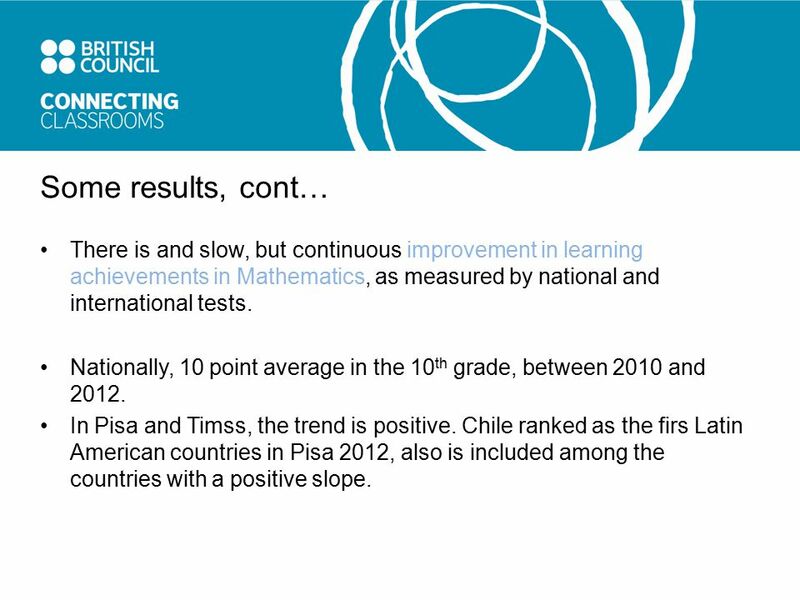 12 Some results, cont… There is and slow, but continuous improvement in learning achievements in Mathematics, as measured by national and international tests. Nationally, 10 point average in the 10 th grade, between 2010 and 2012. In Pisa and Timss, the trend is positive. Chile ranked as the firs Latin American countries in Pisa 2012, also is included among the countries with a positive slope. 13 Main challenges The impact, in education of the most poor, of the way public education is administrated. Perhaps the most crucial issue, and the one with the greatest social and political implications, and resistance. 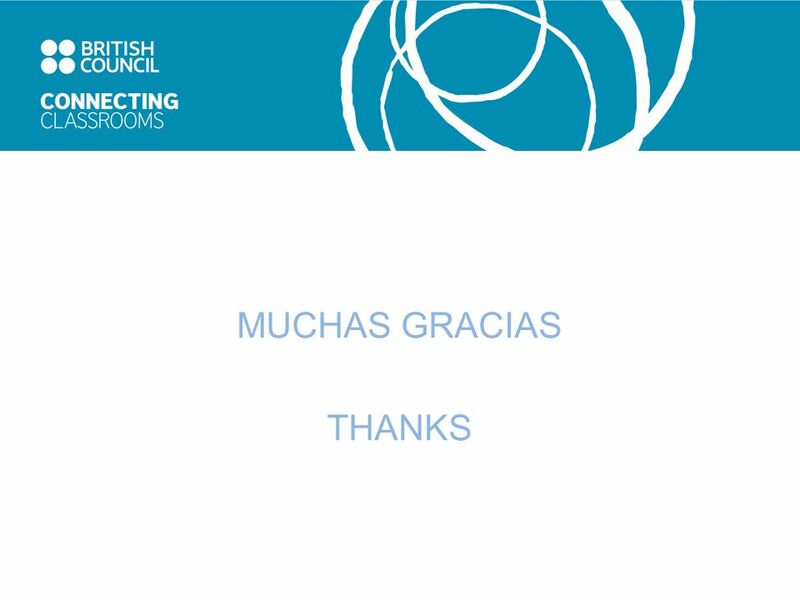 The quality of teacher´s professional and personal life, and its implication in the selection of teachers, and, naturally, in their performance and, in their willingness and possibilities to continue learning. The preparation teachers are obtaining at the universities. There is a lack of didactics in the country, and now new issues are included in the national curricula. 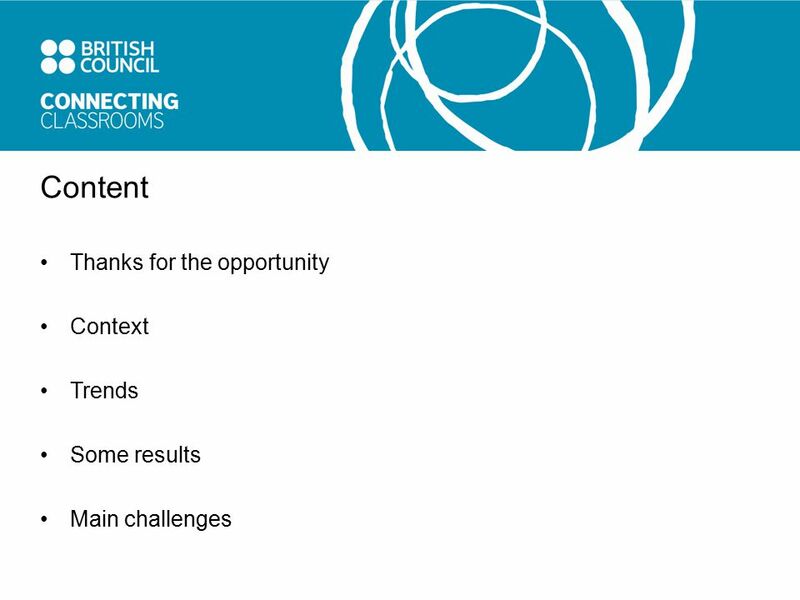 14 Main challenges, cont… The negative impact of national testing and other control measures that end up being the “observed curriculum”. With the reductions of high level learning objectives, and shortening of teachers and individual Schools creativity. One test for all, means one curriculum for all, and there are an grate and valuable differentiation among human capabilities and talents. The lack of a curriculum development tradition. Text book, teaching resources, now computer based resources, need to be born in a research and development environment. 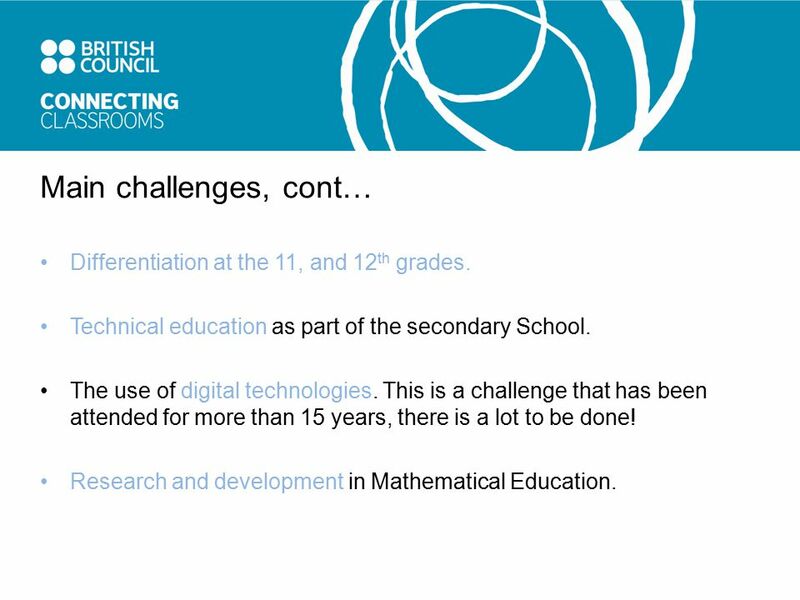 15 Main challenges, cont… Differentiation at the 11, and 12 th grades. Technical education as part of the secondary School. The use of digital technologies. This is a challenge that has been attended for more than 15 years, there is a lot to be done! Research and development in Mathematical Education. 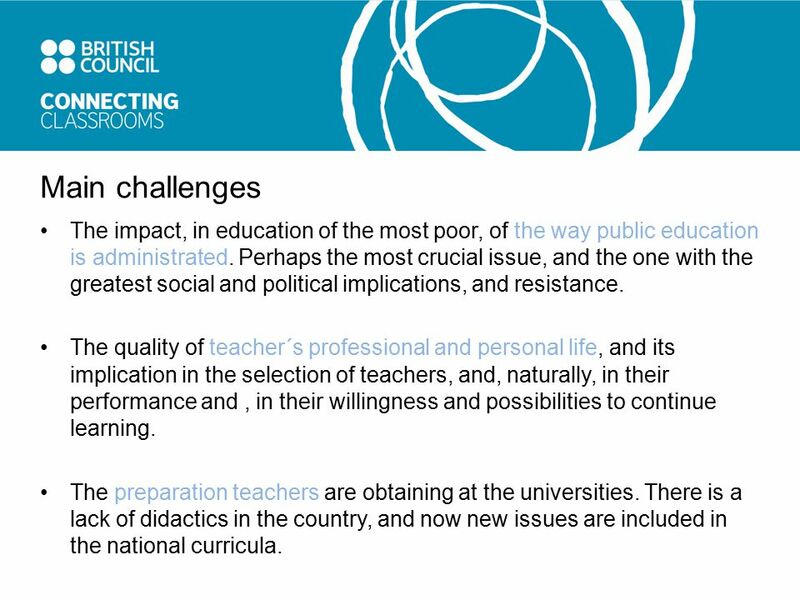 16 Main challenges, cont… Organizations and professionalization of teachers. The need for highly prepared teachers of teachers, and first class teacher preparation programs at our Universities. 17 Final remarcs It is impossible to give an realistic and comprehensive view of what Mathematics Education is in a country, but I am confident in the effect of discussions and interaction between the professionals invited to this meetings. 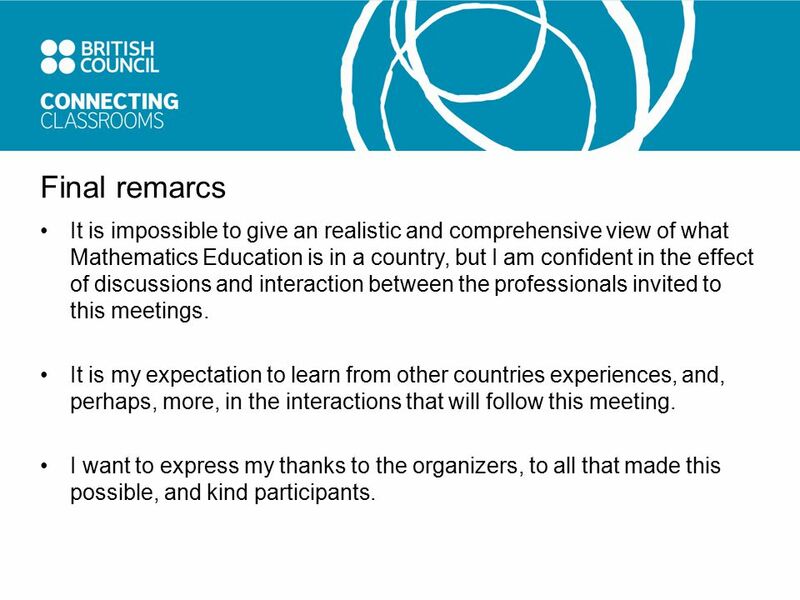 It is my expectation to learn from other countries experiences, and, perhaps, more, in the interactions that will follow this meeting. I want to express my thanks to the organizers, to all that made this possible, and kind participants. 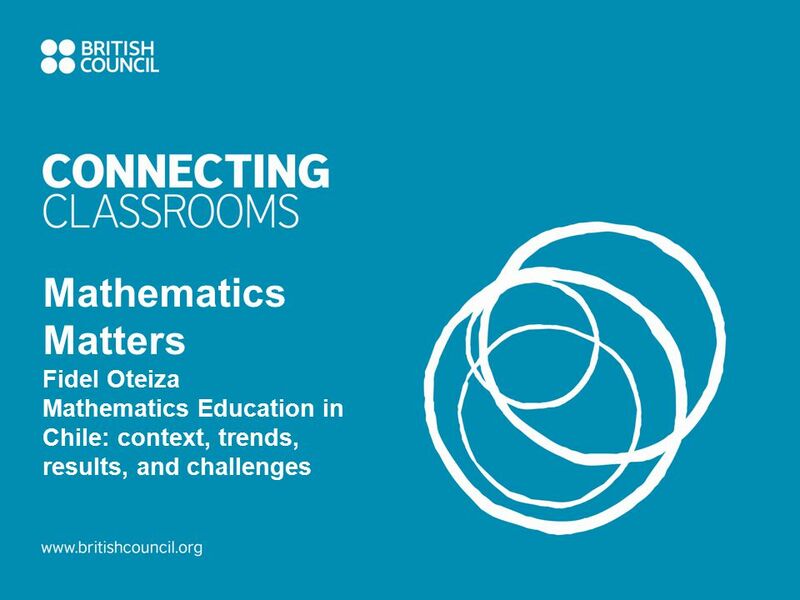 Download ppt "Mathematics Matters Fidel Oteiza Mathematics Education in Chile: context, trends, results, and challenges." Sixth Grade Advanced Math Parent Information Meeting April 23, 2009. Mental Health Education in Beijing Middle School Zhi-jin Hou Ph.D. School of Psychology Beijing Normal University. Organizing for quality Evaluation of the preschool quality - a municipality perspective Ph.D. student and lecturer Karin Lager, University of. November  Clarity  Consistency  Constancy  Communication. 1 Skills That Work for Wales A skills and employment strategy Skills, Business and Employability division Welsh Assembly Government. Mathematics Matters Xu Jiangyong Math Education in China #Maths Matters. Enhancing Professional Development of Brunei Teachers through Lesson Study: A Preliminary Study Hjh Aishah binti Hj Mohd Husain & Ali Hamdani M Diah Department. Red Rocks Community College Construction Technology Technical Education Pathways Project – Integrating math standards with real-world applications NSF.